Are you looking for a Logbook Loan in Leicester? If you are looking for a Logbook Loan, then look no further. Car Cash Point will never be beaten on price, quality or service by any Leicester Logbook Loan Lender. With our 'Best Rate Guarantee', if you find a lower price from any other Leicester based lender, we will beat it by 10%. 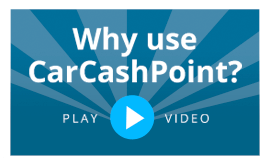 To apply for a loan from Car Cash Point Logbook Loans, Leicester, simply complete the on-line application form above for an instant, no obligation, quotation or if you prefer, call Freephone 0333 220 4419 to speak to an experienced member of our sales team. We're happy to help and we can complete and transfer funds for your Logbook Book Loan the same day! Unlike our competitors, Car Cash Point Logbook Loans Leicester does not advertise false or misleading APR's, which often bear no reality to the overall cost of the loan. If you have obtained a cheaper written quote from another Logbook Loan Lender in Leicester, Car Cash Point guarantees to beat the price by 10% and still complete the same day. Plus, don't be seduced by other Logbook Lenders in Leicester who make false, misleading and often confusing claims regarding early settlement charges, as the other Logbook Loan lenders based in Leicester will give you a 'discount on the outstanding interest' for settling early which equates to a settlement penalty. We appreciate you want the flexibility to make additional capital payments when you can afford it, to reduce your loan and your payments so you pay less interest. This is why Car Cash Point are the only Leicester based Logbook Loan lender to allow our customers to make capital overpayment of £100, or more, at any time during the loan term and as many times as required. It is worth noting the all other Leicester based Logbook Loan lenders will accept overpayments but never reduced the loan amount or re-calculate the loan interest. Taking the limelight in recent years after a famous Premier League title win in 2016, and the discovery of the regal remains of King Richard III in 2012, Leicester has well and truly put itself on the map. But even without these two events, Leicester has a cultural and historical appeal that offers much more than this multicultural city is known for. Located in the heart of the country, Leicester isn't famous for being one of the UK's tourist hotspots. But that hasn't held it back in having the largest economy in the East Midlands. Building on its industrial background, engineering, textiles, and retail remain key components to Leicester's success. And that includes Walkers, one of the largest crisp manufacturers in the world, who have been Leicester-based since they started in 1948.
and culture venues like The Curve, together they make Leicester a vibrant and popular city. But Leicester is also one of the East Midlands' popular logbook loan hotspots, giving people low cost loans against their car. For the best rates in Leicester, Car Cash Point are never beaten. In fact, if you find any other logbook loan lender in Leicester with a lower price, we guarantee to beat it by 10%. With no credit checks and a low interest rate, contact Car Cash Point today for your logbook loan.